Hate crime hoaxer Jussie Smollett may have escaped state charges, but he could still face federal charges as the FBI is still continuing its probe into the fake ‘threatening’ letter Smollett sent himself. Cook County State’s Attorney Kim Foxx and prosecutor Joseph Magats dropped all 16 charges against Jussie Smollett in a stunning display of lawlessness on Tuesday. 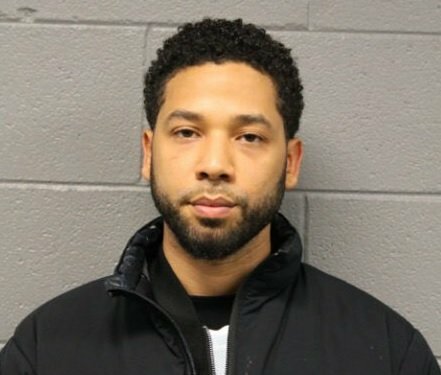 A source told the New York Post that the dismissal of state charges against Smollett did not impact the federal investigation. 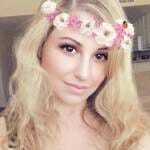 The letter is currently in the FBI crime lab for analysis. According to reports, Jussie Smollett was so upset after the racist threatening letter sent to Empire’s studio didn’t get a “bigger reaction,” that he decided to concoct the fake MAGA attack. Investigators took magazines and a book of stamps as evidence from the Nigerian brothers’ apartment. Jussie Smollett even cried about this racist letter in an interview he gave shortly after the fake MAGA attack. 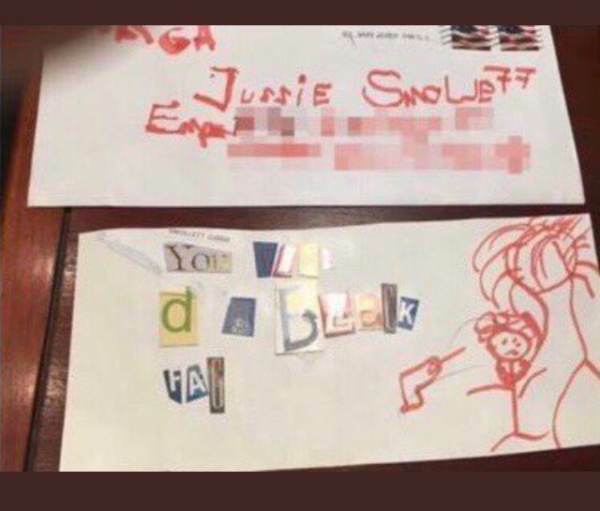 “On the letter, it had a stick figure hanging from a tree with a gun pointing toward it.” It also had “MAGA” Jussie said speaking through crocodile tears in a TV interview. It is a federal crime to lie to the FBI – Jussie Smollett must pay for his crimes.